As time passes, COPD signs and symptoms worsen, and so does your COPD prognosis. While there are no COPD cures, advanced treatments can help increase your life expectancy with COPD. This electric device—known as an oxygen concentrator—takes air from a room and separates the oxygen from other gases; the oxygen is then available to be inhaled through a mask or nasal cannula. It's small enough to be moved from room to room. One of the lung problem symptoms people in the last stages of chronic obstructive pulmonary disease may experience, according to the standard COPD GOLD classification, is a low level of oxygen in their blood. This condition is called hypoxemia, and can cause increased difficulty breathing, and further impair the ability to exercise. Low oxygen levels also may also cause fatigue, memory loss, headaches in the morning, depression, and confusion. Over time, chronically low oxygen levels also can cause heart failure. Interestingly, in many people worried about their COPD prognosis, there may be few, if any, symptoms that can specifically be linked to hypoxemia. To determine whether a person with low COPD oxygen levels has hypoxemia, a physician will perform either an arterial blood gas test or pulse oximetry. In pulse oximetry, a noninvasive probe is attached to the finger, ear, or forehead to measure the amount of oxygen in the blood. The pulse oximetry may be done both at rest and while the patient is walking, since the oxygen level in the blood is often only low during activity. With oxygen therapy, COPD patients can relieve their hypoxemia. It usually is given only to patients with very severe (stage 4, according to the GOLD COPD guidelines) COPD. In stage 4 COPD, airflow is severely limited and the amount of air that can be blown out in one second (FEV1) is less than 30 percent of what would be expected for someone without lung disease. For these people, long-term use of supplemental oxygen for more than 15 hours each day can prolong life expectancy with COPD, and improve quality of life. Oxygen therapy also may reduce shortness of breath during exertion, which makes it easier to perform basic daily activities. Oxygen therapy also may improve mental functioning, reduce depression, and aid the heart. Supplemental oxygen may be used continuously (24 hours) or periodically, such as only during exercise or overnight. The primary goal of using supplemental oxygen is to ensure adequate delivery of oxygen to preserve the function of vital organs. Normal atmospheric air contains about 21 percent oxygen. The amount of oxygen breathed into the lungs can be increased by providing an additional amount of pure oxygen that is inhaled with each breath. The physician will prescribe a specific amount of supplemental oxygen and provide instructions on when and how long it should be used as well as which delivery method will be used. There are three methods for delivering oxygen, as explained below. With each system, the oxygen is breathed in through a mask or a nasal tube (cannula). Compressed oxygen gas: Compressed oxygen gas is contained in tanks or cylinders of varying sizes. Large stationary tanks are used inside the home, while smaller, more portable tanks can be used on brief forays outside the home (they usually have enough oxygen to last a few hours). Liquid oxygen: A liquid form of oxygen is created by cooling oxygen gas. When the liquid is warmed, it turns back into a gas that can be inhaled. 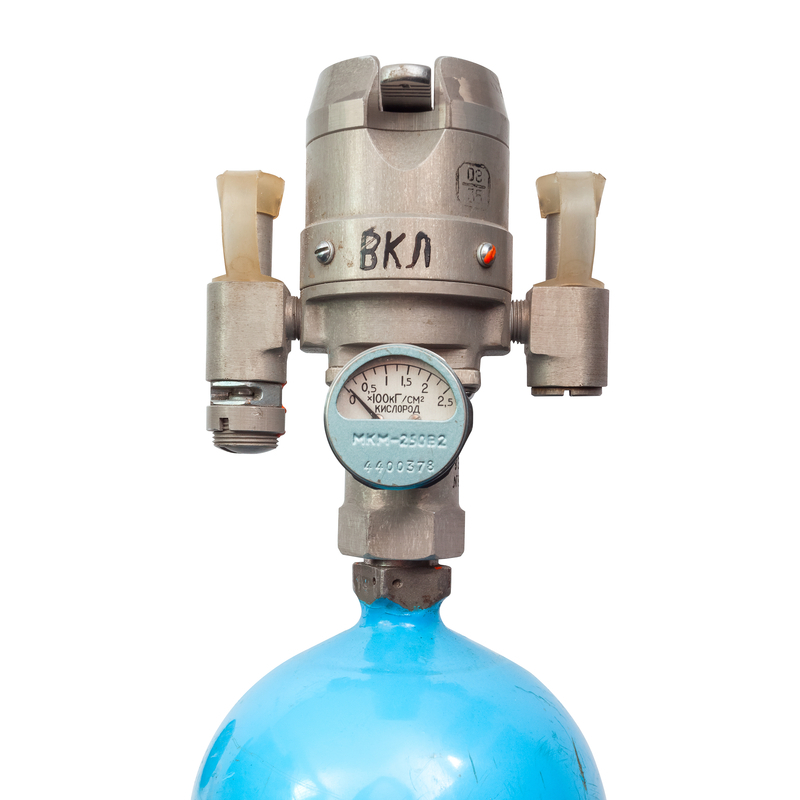 Like compressed oxygen gas, liquid oxygen systems include a large tank for use in the home. The system also includes a small portable canister for use outside the home (this canister is filled with liquid oxygen from the indoor tank). One disadvantage of liquid oxygen systems is the tendency for the liquid to evaporate over time. Oxygen concentrator: An oxygen concentrator is an electric device that takes air from the room and separates the oxygen from other gases. The oxygen is then available to be inhaled through a mask or nasal cannula. This system does not require that tanks of liquid or gaseous oxygen be continuously refilled. The supply of oxygen is unlimited, and the device is small enough to be moved from room to room. Most oxygen concentrators require a continuous electrical source, and must be plugged into an electrical outlet. However there are newer, more portable oxygen concentrators that operate on battery power and may be used for exercise or travel. A COPD prognosis for selected patients with an advanced state of the disease may involve a surgical procedure designed to ease lung problem symptoms that affect breathing and make walking and other daily activities more feasible. In this procedure, called lung volume reduction surgery, the parts of the lung that are most heavily damaged by emphysema are removed. As described previously, the destruction of alveoli in people with emphysema causes air to get trapped in the lungs. 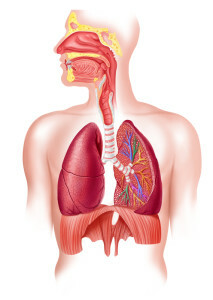 As a result, the lungs become enlarged (hyperinflated). Enlarged lungs can crowd the chest cavity and flatten the diaphragm, making it more difficult to breathe. Removing these hyperinflated portions of the lungs has the effect of improving lung function and quality of life. The surgery isn’t an emphysema cure, but it may help to relieve symptoms and may prolong life in some patients. However the surgery helps only a minority of patients with emphysema. For this reason, it is important that patients considering lung volume reduction are carefully evaluated by a surgeon who is experienced in this highly specialized surgery. The traditional approach to lung volume reduction surgery involves opening the chest with an incision through the breastbone to gain access to the lungs. Some years ago, a minimally invasive technique was developed. With this procedure, several small incisions are made on both sides of the chest. A thin tube with a video camera on the end is inserted through one of the incisions. This allows the surgeon to see inside the body on a video monitor. Surgical instruments are inserted through the other incisions to remove the hyper-inflated lung. Regardless of the procedure used, your COPD prognosis likely will involve a stay in the hospital for five to 10 days after the surgery. Because of the risk of surgery there is interest in trying to develop lung volume reduction techniques that do not require surgery, but instead use bronchoscopy (a procedure that allows your doctor to look at your airway through a thin viewing instrument called a bronchoscope). At present these procedures are considered experimental and are not widely available. Medicare covers traditional lung volume reduction surgery for people who meet certain criteria, and requires that anyone contemplating the surgery first complete a certified pulmonary rehabilitation program. COPD prognosis also could involve lung transplantation for patients who are otherwise healthy. This procedure is generally reserved for people who are in the last stages of COPD, but have no other significant health problems. The criteria generally include a FEV1 less than 20 percent of what would be predicted for someone without lung disease, as well as very low oxygen levels, or very high carbon dioxide levels. For patients with emphysema, either one or both lungs may be transplanted. The procedure generally results in improved lung function and better quality of life. There are risks involved in the surgery, however, and lung transplant recipients must take drugs to suppress their immune system for the remainder of their lives. These drugs are necessary to prevent the body from rejecting the new organ. bronchoscopy, chronic obstructive pulmonary disease, copd, copd gold, copd guidelines, copd oxygen, copd oxygen levels, copd prognosis, depression, emphysema, emphysema cure, exercise, gold copd, headaches, health, health problems, heart failure, immune system, last stages of copd, liquid oxygen, lung disease, lung problem, lung transplant, memory, memory loss, morning depression, obstructive pulmonary disease, oxygen concentrator, oxygen therapy, pulmonary disease, pulmonary rehabilitation, shortness of breath, stage 4 copd, stages of copd, supplemental oxygen.